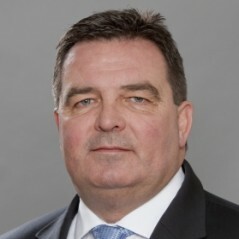 Claus H. Lenz is a founding partner of the German law firm LLS Lungerich Lenz Schuhmacher which was set up in 1995. Mr Lenz’ main fields of activity relate to work contracts in the construction industry and for complete industrial plants as well as in the machinery business, both in the domestic market and worldwide. Mr Lenz is also an expert in international commercial arbitration and alternative dispute settlement; he has served on numerous arbitration panels and dispute boards during his career to date and is listed as arbitrator with various arbitration institutions including DIS, ICC, SIAC, KLRCA, KCAB, SCC and CRCICA. Mr. Lenz has gained practical experience on a construction site as an assistant site manager in Johor/ Malaysia before finishing his law studies and practised as a foreign lawyer in Singapore for several years. He is acquainted and experienced with the legal aspects of any kind of business activities in South-East Asia. He is also a founding member of the recently launched German Arbitration Chambers in Kuala Lumpur, Malaysia. Mr. Lenz is currently Co-Chair of the International Construction Projects Committee within the International Bar Association (IBA). He regularly publishes articles related to legal issues in construction and engineering as well as alternative dispute settlement.